Some of you may have noticed some inclement weather in the North East of Scotland these past few weeks leading to flooding, blocked roads and power cuts. 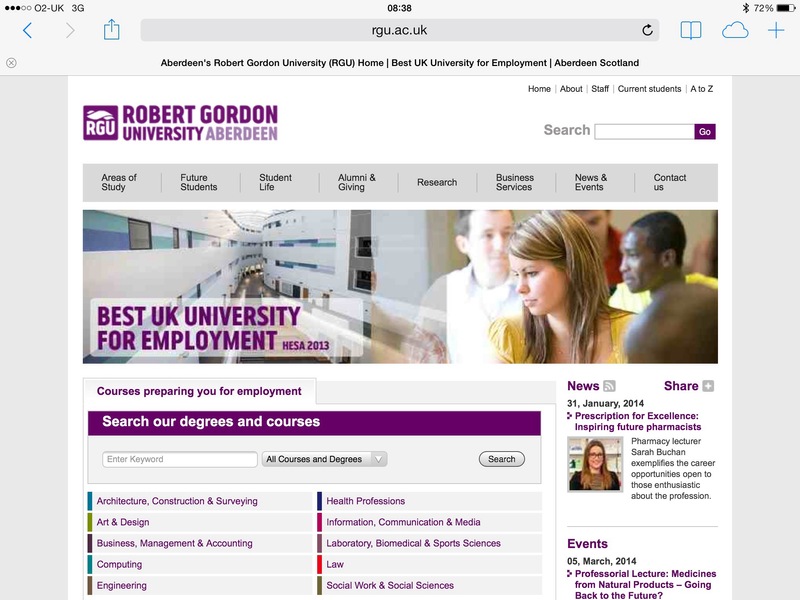 A lot of this peaked on December 30th in the Garthdee area of Aberdeen, where the RGU Campus is. We didn’t get flooded, but there was quite a big power cut across the Campus. Over the past few years we have moved all our core IT infrastructure into two new datacentres – sharing with the University of Aberdeen and North East Scotland College. One of them is on the RGU Campus so this power cut was a good test. Both datacentres are well equipped with battery backup, plus generator backup – but of course as much as you can test these components in controlled circumstances, there is nothing like the real thing. In the event, when it became clear that there had been a power cut, I received an anxious phone call from the duty manager asking me if the data centre and our IT systems would be OK? By the time I received the call, the automatic alerts had already notified technical staff in IT Services and the Head of IT Operations and Support, Richard Lynch, was on his way to the Garthdee Campus. There he found that both the battery backup and generator had kicked in automatically as they are designed to when the power was cut. All our IT services continued without interruption and when power was restored the generator powered itself down again and everything settled back to normal. Many if not most of the major incidents I have encountered in IT have been down to a loss of cooling and/or power in the datacentre. Incidents such as these demonstrate the value of investing properly in datacentre resilience. What ended up being a non-event could otherwise have been a a much more protracted IT recovery operation. The next phase of construction in our Riverside East building – the new Scott Sutherland School – is now nearing completion. This has been built as a new wing onto the south of the existing building, and will house the School and the Faculty Office for the Faculty of Design and Technology. Early in June, the contractors expect the building to be ready for the University to start fitting out with its own furnishings, equipment to make it ready for occupation from July. Have a look at Daniel Doolan’s blog for some great photos of the construction work for this project – and indeed the rest of Riverside East. One of the most important tasks in getting the building ready is the installation of the IT and Audio Visual (AV) equipment. Some of this has already taken place – the IT network cabling was installed as part of the construction work, and the company installing all the AV equipment has been working alongside the main contractor and much of the AV kit is already in place. Over the next few weeks, staff from IT Services and the University IT/AV team will be working to install and commission all the remaining IT facilities. These activities can’t really start until the main building work is finished as they depend on a clean environment and the furniture installation. First of all, IT staff will test the fibre optic connection that links the new building to the rest of Riverside East. The next stage is to start installing the network switches in the communications rooms within the building. The switches connect to the cabling and control all the IT network traffic throughout the building so nothing really works until these switches are in place. It’s not just a question of plugging them in – they all have to be configured correctly to operate with the rest of the University network. As the switches are being commissioned, IT staff will also be checking out all the AV equipment and making sure that it works across the network. Then, once the furniture arrives and the switches are ready, IT staff can start to install PC’s on staff desks ready for staff to move in. Following this, the WiFi access points will be installed so that WiFi access is available in the new building, the printer/copiers need to be installed and linked up to the network, and PC’s need to be installed in the IT labs and studio spaces in time for students to start using the new building. This is a busy and very intensive period of work for IT staff and will be a key priority for them over the next two months. We are all looking forward to seeing the new building completed and occupied, and staff and students enjoying a modern new environment for the School! We have continued to monitor our WiFi service across the Campus over the last couple of months and I’m aware that whilst it has now improved for many people, there are still some people having difficulty in using the WiFi network. Our own engineers have been testing the performance regularly across the Campus and gathering information on specific issues, and we have been working closely with the manufacturer throughout this period. 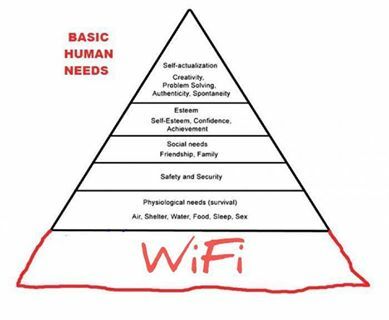 We know that there are issues connecting some types of device, some issues when people move from one Campus location to another, and some specific areas of the Campus where people are consistently having more difficulty connecting to WiFi than other areas. On the plus side, we can see from our system monitors that there typically two to three thousand successful connections being made by people at any point in time during the day. We have now reviewed the issues we are seeing with the manufacturer, and are getting support from very senior level within the company. We have agreed an action plan with them and they will be placing engineers on our Campus week commencing 5th January to carry out a complete review of our entire installation, and as part of that to make some specific changes that we have agreed. There will be some outages during the first week in January, but we anticipate these will be short. Our own engineers and the manufacturer will carry out an initial assessment of the impact of this work over the first half of January. With such a large user population and range of devices it will be important that we do further checks after that so that we can be confident that we have resolved the issues people are experiencing and have a stable and reliable service across the Campus. We’ll do this by asking a group of staff and students in the first instance to keep a more detailed diary of their use of WiFi – when it works and when/where they have problems. We are giving a high priority to resolving the remaining issues on WiFi and will work through this as quickly as we can. 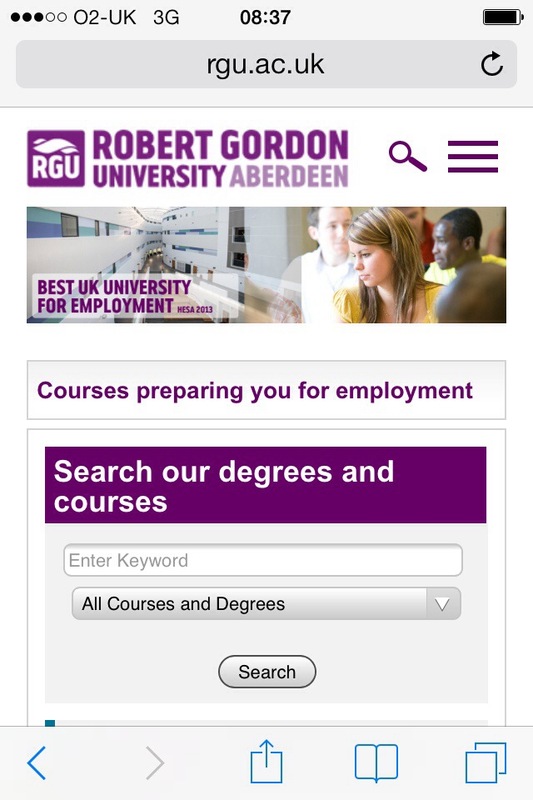 Please do keep providing feedback via our Helpdesk, visit the Georgina Scott Sutherland Learning Centre or contact us via ITHelpdesk@rgu.ac.uk if you need any help meantime. The layout of the page is now optimised for the smaller screen size, so that you no longer have to “pinch and zoom” to get the areas you are interested in to a size where you can read them.